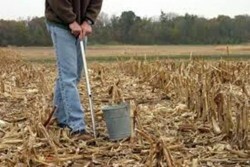 Not sure how to sample your soil? Download this Cornell Agronomy Fact Sheet. More Agronomy Fact Sheets are available at the Cornell Nutrient Management Spear Program website.